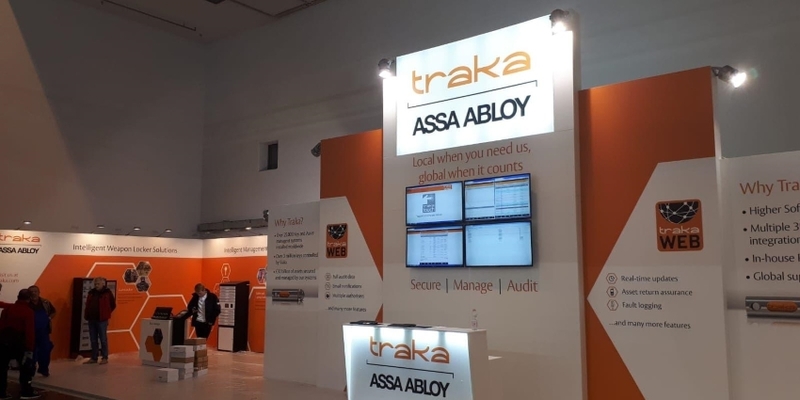 Having returned from Security Essen, Traka’s International Sales Director, Martin Woodhouse, reflects on the show and why it was so important to attend for the industry leader in innovative key and equipment management systems. Q: How was the show? Martin Woodhouse: Security Essen was great in allowing us as a global brand, and part of the ASSA ABLOY Group, to demonstrate how we are listening to our customers (new and existing) and responding with latest advances in intelligent solutions for keys, lockers, software and dedicated products. Q: Why did you think it was important to attend? Martin: Security Essen is an established exhibition for the European market but even more important for the German one. It continues to lead the way as an important global event for the world security market to come together, to tackle the latest security challenges and share new and innovative ideas. This year, particularly, concerns were cited about the impact of Brexit and its influence on the market, together with more intricate security issues such as cybersecurity and data protection. It was really important for Traka to attend, not only to display its latest solutions and services but also to be part of these important conversations, so that together as an industry, we can pull together and have the solutions and answers ready. Martin: One of the main themes of the show was the focus on smart security and integration. We are increasingly living in a far more connected and online environment, where the speed of data and the cause and effect on how to manage situations is becoming faster and simpler to instantly analyze a situation, with the necessary reports required available. From a security and data perspective, both on and offline, clients expect more, they do more research and they know what they are trying to achieve. They want to choose a partner that can provide integrated, all-encompassing bespoke solutions and achieve compliance as standard. It’s something Traka certainly has focused on to deliver bespoke solutions, integrated to suit a specific customer environment. Q: Was there a specific focus for Traka at Security Essen? Martin: For Traka, Security Essen was an opportunity to demonstrate how we can help businesses operate to minimize operational costs, increase productivity and ensure the efficient use of company assets. We demonstrated how our latest solutions can make sure every part of an organization is protected, right through to critical data facilities, an increasingly integral part of any security remit in today’s world. And due to the open nature of Security Essen, it was the perfect opportunity for Traka to discuss bespoke customer requirements across a number of different vertical sectors; from education to healthcare, hospitality to transport. Finally, Security Essen was the right international platform to present our proven integrated solutions. We wanted visitors to see for themselves how easy, intuitive and comprehensive our systems are, and with full audit capabilities, how they can present an all-encompassing safe and secure solution with tangible ROI benefits. Q: Could you tell us more about the products displayed at Security Essen? Martin: At Security Essen, the range of products and services on show was focused on our core capability to secure, manage and audit the use of almost any physical asset, including: premises, devices, secure areas, data centers, equipment, machinery and vehicles. Our latest Traka Web central software management was at the heart of our display as an enterprise class web-based administration software platform, enabling complete management of Traka Touch key and locker systems from any device, even remotely. We presented live demonstrations of our integrated solutions, including our popular Rack Manager, which offers electronically controlled access to every server rack door in a data centre, with the ability to scale up to suit evolving infrastructure environments. We displayed Traka’s new V-Touch compact key management system, designed to offer controlled access management for critical keys at locations where space is limited and up to 5 keys need to be managed. Q: Could you tell us more about your integration capability? Martin: At Security Essen, we were lucky enough to be able to be able to demonstrate on our stand, Traka’s integration capability with Lenel and Nedap. We are extremely proud of our track record of integrating with third party systems with such leading companies. We believe it goes a long way to ease the burden of administration for our customers and present unique opportunities for controlling critical processes. User profiles and access permissions can be easily populated and managed on an existing database. Custom workflows can be tailored to the needs of an organization to generate actions, notifications or access restrictions based on the status of important assets ensure valuable assets and keys don’t leave site. Q: What are your aims on an International basis for Traka? Martin: Traka was the manufacturer of one of the first electronic key management systems – and we are now considered as world leaders in innovative technology for sophisticated, intelligent key and equipment management solutions to manage and control access to important assets. Even in such an industry leading position, recognized on a global basis, in the UK and in over 40 countries worldwide, we are far from complacent. We continue to evolve our solutions and professional services and continue to not only meet but exceed the requirements of our customers. This is not only from a product perspective, but also our service capability to offer advice right from initial design and specification stages to installation, project completion, handover and ongoing maintenance, across every sector. Naturally, we want to grow and evolve into more countries and increase our network of certified channel partners; but we can only do this if we continue to listen to the demands of the different market needs. Martin: It’s surprising how many business and commercial owners still rely on manual processes and paper recording, for key and equipment management and control. Our aim is to prove how simple measures can make a difference. It’s not only the security of a business’ assets but also to reduce the cost to an organization through accidental damage, theft, personal injury and downtime. It also helps enforce business processes and ensure health and safety compliance. Ultimately, it’s a mindset. We believe the transition to more intelligent systems, such as Traka solutions, will be more aligned with everyday life. Q: How important is it to be part of ASSA ABLOY Group? Martin: Being part of the global leader in door opening solutions is a massive advantage for Traka. ASSA ABLOY’s products and solutions serve just about every conceivable application around the globe. The real credit to the group is its ability to understand Traka is a bit unique within ASSA ABLOY, because we provide different types of solutions to its traditional core. So, we’ve continued on as a separate business both in the UK and on a global basis, and only integrating where it makes absolute sense into the larger organization. An example of this is the integration between Traka and ASSA ABLOY’s advanced security CLIQ Web Manager software solution. The result is a key management process that is proven to significantly reduce maintenance costs and save administration times. Overall, it’s been impressive with the people and the technology within the company that we are able to tap into as and when required. The ASSA ABLOY solutions brand is one we are proud to be associated; a one-stop shop for all door and hardware opening needs. The ASSA ABLOY brand will continue to grow as a leader in opening solutions and access solutions. Martin: Traka is never one to stand still. We will continue to evolve as a company and invest in research and development. One of the key aspects we are focusing on is the move to present solutions dedicated to each market segments from small to global companies. By example, most recently in the UK, we have seen success in the launch of lockers specifically designed to store body worn camera technology, primarily for the likes of prison and emergency services but also in schools and community buildings. Not only did this require a solution to ensure the equipment is safely secured, but also that it is charged and instantly ready to use whilst in storage. At the same time any solution needed to help organizations, who had invested significantly in the technology, operate a ‘pool’ system rather than having to invest in a device per member of staff. This is just one example, with a very specific product requirement that Traka was able to work closely with the sector to understand the issues and create a solution. It demonstrates a commitment to design, in how our products operate and evolve to meet market needs, both in the UK and across international markets.